This modular construction timeline for building a prefab log home lays out the necessary steps and typical length of time for each step in the cabin construction process. See where you stand or how much time to budget to build your dream cabin. There are two distinct phases for any construction project and building a log home is no different. We start with the pre-construction phase which involves planning, designing, buying land and financing land, assembling our team of contractors and lining up our log home financing by finding the best mortgage loan or log home construction loan. The second phase is the actual construction. This is where you grade the land, do your perc tests, install utilities, get approval of building permits, and prepare for your log home package. Once your cabin kit is delivered it can be assembled fairly quickly. The final finishing stage involves the builder finishing out the interior, building attached porches or outdoor rooms, pouring flat work such as sidewalks and steps and getting a final Certificate of Occupancy from the building inspector. This modular construction timeline will look at each step of the project. Assemble a team for your log home construction: real estate agent or developer, builder, contractor, banker or log home lender, designer and log home producer. Each one will have input critical to your project and you can save money, time and headaches by coordinating their involvement, considering their advice subject to your desires and final approval, and using their expertise. If you do not already own your land, it’s a good idea to work with an experienced real estate agent or land developer to find the perfect lot for your log home. There are many important factors to consider so check out our pages on buying land and financing land. You want your land to suit your proposed lifestyle and you want your log home to fit your land. Choosing a contractor or builder before you get too far into your cabin design and construction makes sense since he’s the one who’s going to have to put it all together. Get your builder’s advice on how to situate your cabin on your lot, log home design considerations that will affect build time and budget and ways to streamline the process and make it more efficient. Contractors are all about efficiency and effectiveness and you can use that to your advantage. If you’re considering acting as your own general contractor, be certain that you have the time, knowledge and temperament to handle the complicated task. You can determine your cabin budget by getting pre-approved for a log home construction loan. Not every lender understands the unique circumstances of building a log home or using systems-built construction. Conventional home construction draw schedules may need to be adjusted, for example, when delivery of the log home package takes place and must be paid for. Learn more with our page on mortgage loans, and mortgage money-saving tips. Choose a log home floor plan that is appropriate to your lot size and to your budget, as well as one that suits your lifestyle. Nearly all of the log home producers have standard log home plans and can customize them for your wishes. They are used to dealing with challenging lots, restricted access and budget constraints. Once you have the ideal design selected and the team is in place, the actual build process can proceed quickly. You will be in constant contact with your builder or contractor as they construct your cabin to answer questions and resolve conflicts that arise. Complete lot survey and conduct soil tests if necessary. Conduct a perc test as needed for the septic system. Hire an engineer to design your foundation and septic system if necessary. Apply for utility services such as electricity, water, sewer hook-up, cable, fiber-optic. Obtain well, septic, tree removal and grading permits as necessary. Apply for Building Permits from local Building Department. Grade lot and building pad. Drill your well and install your septic system if applicable. Have your surveyor stake out the foundation. Have your log home package or modular cabin delivered. Set and assemble the modules on foundation. Build your attached garage, porch, deck or other outdoor room. Connect utilities to the cabin. Pour concrete flat work including driveway, walkways, and steps. Finish grading lot and cabin landscaping. Get final approvals and Certificate of Occupancy. 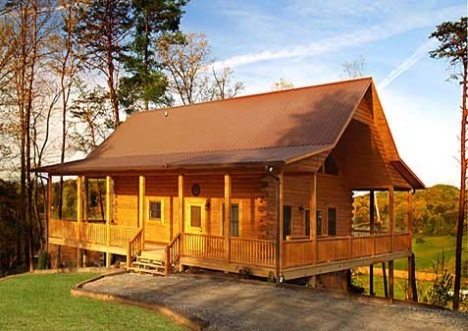 This modular construction timeline lays out the necessary steps and times for the complete process of constructing a systems-built or modular log home. Although individual cabin builds may vary in their requirements and timeline, this can serve as a guide for your prefab cabin project.